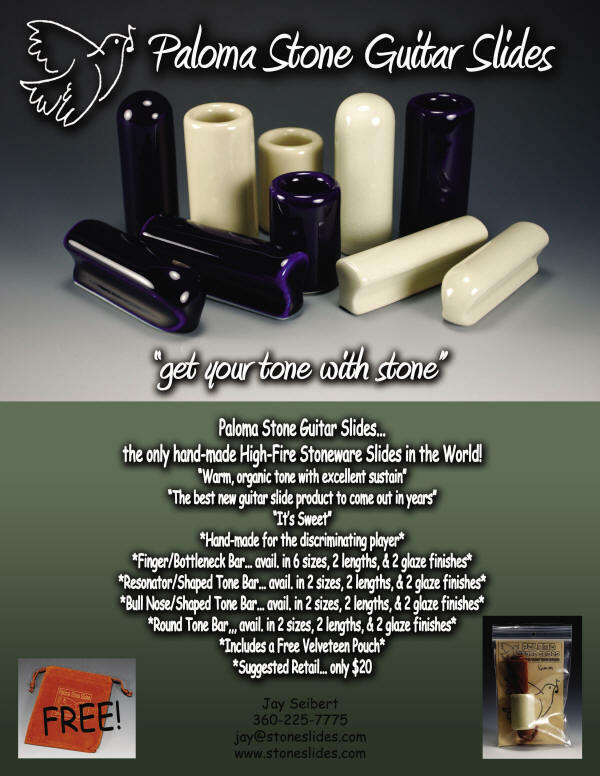 the first and only high-fire hand-made stoneware guitar slides in the world! Now available in music stores and direct on line at www.stoneslides.com . Check 'em out... they're really sweet!